WASHINGTON — With the remains of dozens of Korean War troops set to return to the United States on Wednesday, military advocates are urging family members of missing service members to enroll in the Defense Department’s DNA database to help with identification of the fallen heroes. Defense POW/MIA Accounting Agency officials have said they don’t have DNA files for about 9 percent of the nearly 7,700 U.S. troops missing in action from the Korean War. As new remains are turned over from North Korea in coming years, advocates worry that some may not be able to be identified without additional help from military families. Mattis called the return an important first step in finding more war dead still in North Korea. The group in recent days has reached out to its membership to urge every family member of missing Korean War and Cold War troops — “even distant relatives” — to contact defense officials about donating a reference sample, a process that typically involves little more than a cotton cheek swab. On July 27, North Korean officials delivered 55 cases of remains believed to be fallen Korean War combatants to U.S. officials as part of an agreement between President Donald Trump and North Korean leader Kim Jong Un. 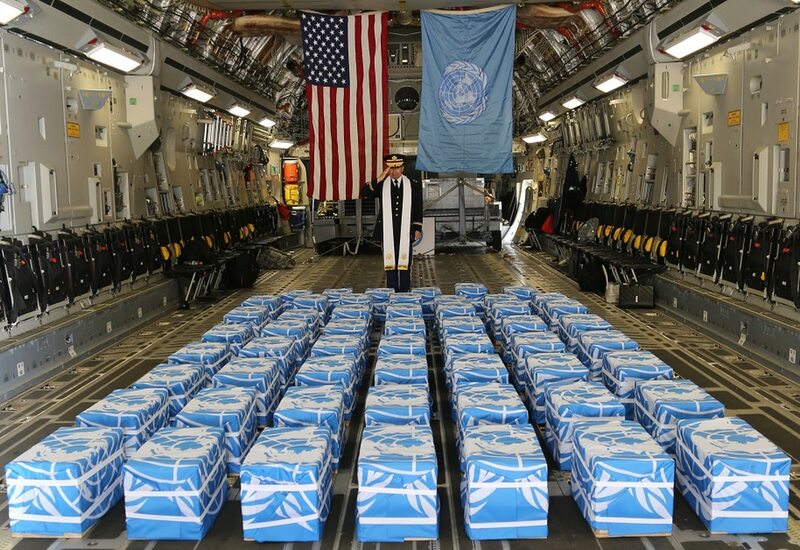 The cases were transported to Osan Air Base in South Korea and will be returned to American soil in a formal repatriation ceremony in Hawaii on Wednesday, Aug. 1. Vice President Mike Pence and other government dignitaries will be on hand for the event. Lawrence said his membership has been encouraged by both the peace talks between the countries’ leaders and the moves made to return the troops remains. More information on Defense POW/MIA Accounting Agency identification procedures is available on the agency’s web site.